The Californians Dedicated to Education Foundation works as a trusted partner with state education leaders to create, resource, and implement solutions that result in a strong and valued public education system that serves all students. The CDE organizes a group of stakeholders called the Alliance for Continuous Improvement in order to build support for California’s education system improvements by providing policy feedback and recommendations, coordinated communications, and ongoing education. 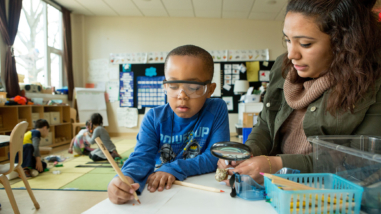 By advancing and strengthening critical policy components of California’s education system, this grant will support the policy infrastructure necessary to support deeper learning. The Californians Dedicated to Education Foundation is a nonprofit that incubates and elevates promising initiatives at the California Department of Education and across the state. To increase local capacity to involve communities in the development of state-required Local Control and Accountability Plans, the foundation supports selected districts in the Bay Area to develop and use best practices to reach out to and engage families and communities. 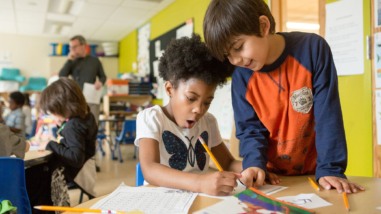 Proactive and visible engagement of communities in planning budgets and goals for school districts will help ensure representation of low-income and minority families, improve educational equity, and strengthen school accountability that represents community needs and values. The Californians Dedicated to Education Foundation is a nonprofit that incubates and elevates promising initiatives at the California Department of Education and across the state. 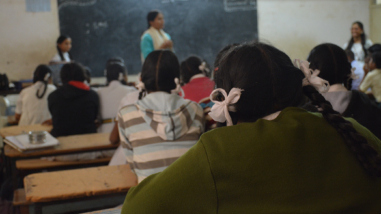 To increase local capacity to involve communities in the development of required Local Control and Accountability Plans, the Education Foundation will support two to three districts each in San Mateo and Santa Clara to reach out to and engage families. Proactive and visible engagement of local families in designing planned budgets and goals for school districts will help ensure educational equity and school accountability that represents community needs and values.